After 3 years in venture I’ve come to appreciate the differences between operating and investing better, and the nuances between the different stages of investing in private, high growth, technology companies. There are many observations and lessons learned for sure that I might share in future posts, though here’re some points very well articulated by Ilya Fushman, who recently joined famed VC firm KPCB. IF: Certainly, there were some great logos in the growth-stage fund. But I think returns from [earlier-stage] venture were pretty great as well. I think where we came down as we were thinking about strategy was this notion of how do you compete. There’s a lot more capital at the seed stage; there’s a lot more capital in growth stage. When we think about ecosystem and landscape of venture, when you look where we’re focused predominately today — which is Series A — the type of work we do and the kind of skills required is mentally quite different from late-stage investing. There’s basically no data. We’re helping founders hire their first sales leader and figure out their product strategy and helping them navigate partnerships. And when you look at the late-stage growth side, a lot of it is financial engineering, and you have to be really good at it, because you have to price things really well. For us, if we’re off 20 to 30 percent on price, it’s probably okay as long as we pick the right company. I believe this pretty aptly describes the work that we do at SeedPlus. We were there when founders are looking at the go-to-market strategy for the first commercial launch of their products; we were there to help navigate complex partnership conversations and financing strategies; we were also there when founders needed the nitty gritty & the mundane – helping hire the right corporate secretary firm, modelling cap tables in Excel, recommending co-working spaces etc. Of course all the above doesn’t preclude a successful outcome (both in the investment sense and in building a successful company), but in general we feel pretty good about our ability to roll up our sleeves and help and being part of the company building process. In many ways, 2018 was defined by beginnings, and coming full circle. The biggest event has got to be welcoming our son, Xiang, into our lives. The moment I held him in my arms for the first time will probably be one of the happiest moments I will ever experience, and will carry through my entire life. It is a strange feeling seeing a new life unfold in the days since, and being responsible to care for and guide his young existence in this crazy world. It is as though I am re-living life through him all over again. I also saw first hand how resilient, patient and kind a Mother can be. It is genuinely inspiring seeing Ning stepping into the role; this is grit in display. It is also nice that I am able to reconnect with family, having my mom and sister now living in the same country and also seeing close relatives we’ve not seen for years when they visited Singapore earlier in the year. I am grateful for that. I was also able to reconnect with the alumni from Evernote. (Hosting Phil L in Singapore was a highlight for sure. Dude loves his durian. ) I am glad that the alumni network stayed strong; in some sense it is a testament of the strong culture we’ve built during our journey together. I am looking forward to further collaborate with the crew and create some meaningful impact together. It’s easy to grow cynical and jaded, especially in these turbulent times. Geopolitical uncertainties globally and in Southeast Asia. The increasing crescendo of various ethical and moral questions (gender discrimination, pace of creative destruction, privacy and big tech etc) the technology industry has to grapple with. If anything, I think it’s more important than ever to hold true to principles and going back to basics, and do one’s best to do what’s right. Through all these I’ve been incredibly fortunate to be able to work with some really amazing founders and technologists through the work we do at SeedPlus. I’ve learned a lot through these experiences and am looking forward to collaborate, support and just be helpful in any way I can. A special shoutout to the team SeedPlus as well – we’d done some great work in 2018. Looking forward to taking things up a notch in 2019. 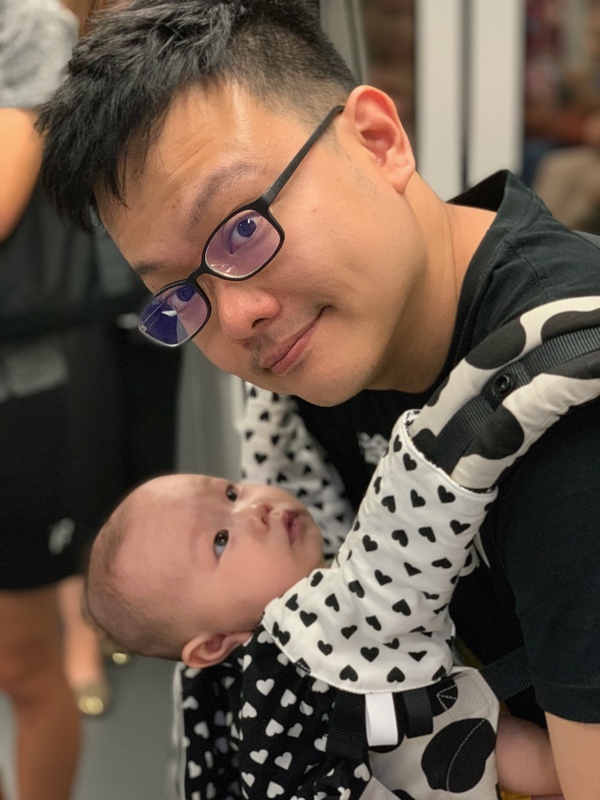 I expect a bumpy 2019 ahead, as Ning and I continue to learn to be parents, and navigating through inflection points in the Southeast Asia venture ecosystem in the months ahead. That said, I continue to believe in using technology as a lever to create positive impact and to act as a force of good. I am as excited as ever to see what 2019 has to offer. Be world class in whatever it is that you do. This is a consistent theme through the conversation and it shows through Ann’s career. 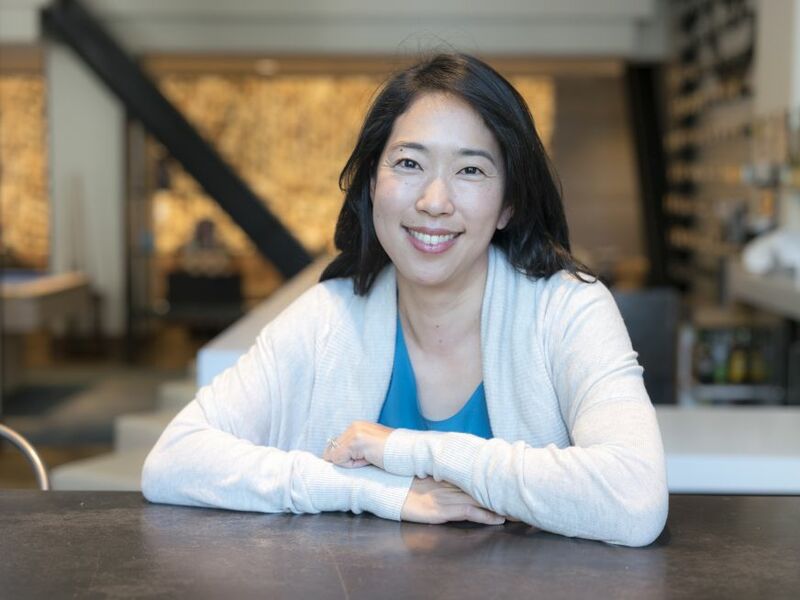 Fun fact: Ann was my TA at Stanford’s E145, where Mike Maples Jr was a guest lecture as well. This was mentioned in the podcast (it wasn’t my team that was imploding nor did we get an A+). I’m sure Ann doesn’t remember me but her being pregnant and working on a PHD and working a full time job really made an impression on me. She was definitely world class in #grit. Not losing does not equal winning. This resonates especially, as I reflect on some of my experiences working with founders. Many a times I’ve met founders who would tell me that their product can be used to tackle the SME market and the enterprise market and the finance vertical etc. Besides showing the lack of focus, the “hedging” strategy shows the lack of true conviction and confidence in leveraging one’s strength to turn that into a sustainable competitive advantage. Find your world class life and live it. This is a particularly encouraging and empowering message. The thing is, not all of us are meant to be doctors/lawyers/entrepreneurs etc. You are, and you should, try to be the best version of you that you could be. This also means that no matter what you do, try your best to be world class in that category. Effort counts twice (see Grit by Angela Duckworth). If you can’t outsmart, out prepare. Look out for founders with “crystal clear thinking”. If you’re going to have kids, invest in your kids. Go for it, have successes, but bring others along with you. Finally found the time to put this up. These are my slides from my keynote at Tech in Asia Jakarta 2017 (procrastinate much?). I plan on updating this soon with added commentary, in the meanwhile hope some of you might find it useful as a guide to kickstart your first institutional fundraising journey. To me, it’s about practising mindfulness and being conscious on focusing my attention. We do live in an increasingly distracted world, the tweets, the posts, the timeline, notifications, little red alerts, chat bubbles and talking heads.. Endless little attention grabbers gnawing at your attention span. I believe this situation is especially pronounce in tech and venture, empirically speaking. 1. I read two books in parallel, one fiction and one non-fiction, a chapter each day. 2. Daily meditation in the morning. Headspace is my app of choice. 3. Run. I try to run two to three times a week, clocking 6km ~ 7km each session. Clears my mind with what i dubbed “active meditation”. I believe in this increasingly noisy world, mindfulness isn’t just crucial for well-being, it can also be a very real competitive advantage. To be able to do great, deep work, mindfulness and focus is key. It’s been one year since I, like Harry Stebbings would describe in his podcast, stumbled into the wonderful world of VC. I couldn’t ask for a better set up and colleagues, in the likes of Michael and Gabriel , and the wonderful support and mentorship from the team at Jungle Ventures. I’ll like to share a few quick notes on some lessons learned, and also observations along the way. These are far from exhaustive I am sure. The pace of decision making is quite different. When you are an operating executive, especially when you are in a start-up, you need to make decisions quickly as the cost of not moving fast enough is higher than the cost of mistakes. In most situations, the downside cost of mistakes can be limited, as the feedback cycle of each decision is fast and you get a chance to course correct. On the contrary, one almost has to slow down decision making in investing as the cost of mistake here is high, and the feedback cycle is long. It should be a calculate and deliberate decision, and to a large extent a very uncomfortable environment for me. A lot of the time I wonder if I’m actually making progress, or I’m just getting busy without moving the needle. What surprised me is how much the people factor weights in the business, from building relationships with founders, colleagues in the industry from other VC firms and potential (and current) LPs, VCs spend a lot of time managing these different stakeholders and relationships. It’s interesting to think of the VC industry of the few industries which incentivize participants in the ecosystem to be good actors for the long run (H/T: Anjney). This sounds cliche, but I truly feel that VC is a really humbling profession. Day in and day out I work with truly smart and driven founders, and I meet many more from different pitch meetings and demo days. It’s both humbling and scary to learn about many cool new technologies and innovation gaps in many industries, and at the same time I can’t help but think about how much I don’t know. In some sense it’s a really subtle but important shift in mindset between operating and investing – in that when you are executing, your job is to provide the answers but when investing the job is about asking the right questions and getting comfortable with not knowing it all. VC is hard work. In Mandarin, we call that 苦活, which literally translates into bitter work. The real work starts post investment when you are working with the founder, it is a 24/7 service oriented work. One minute you could be interim CFO trying to help the founder with cap table modeling and budgeting, the other you are playing the head of HR, listening to founders and providing emotional support. It’s highly unstructured work, and the glory (should the company succeed) belongs to the founder, not you (rightfully). I am sure there’re much more lessons to be had, and much more work to be done, and we are just getting started. Interestingly my one year anniversary coincided with this piece of wonderful news: https://techcrunch.com/2016/05/31/seedplus-is-an-early-stage-fund-focused-on-finding-global-startups-in-southeast-asia/ so that’s one happy happenstance. On that note, if you are a founder looking to build a globally disruptive start-up from Singapore and beyond, I look forward to partner with you. If you have questions about fundraising, or start-ups in general, I am happy to talk to you. You can find me on Twitter at @tianglim. 10% into my next decade today. If there’s one word that i can use to describe 2016, in my own life and the state of affairs in the world, that will be ‘flux’. Throwing out some keywords here, in no order of priority and definitely some recall bias at work here: Brexit, Trump, A.I., CRISPR, 1MDB, ISIS, Deep Learning, Blockchain… and the list goes on. It’s difficult to resist the feeling that the ‘new world’ is coming, and collectively we as a species are both excited and nervous at the same time. Personally it’s been an interesting year as well – most markedly due to me hopping to the other side of the table. To be honest venture capital was never really a career consideration. In some sense I sort of stumbled into the industry. For that I’m extremely grateful for the opportunity that i was given by the crew at Jungle Ventures and SeedPlus. Looking forward to kicking things up a notch for sure, in honing my craft and hopefully play a part in the technology ecosystem building of Singapore, the region and beyond. Now that I’ve set the context of 2016, i want to take the opportunity to review the list i wrote for myself last year when i turned 30 (The first iteration of the list is here: http://tianglim.net/wp/30-things/). Not sure if this will be an annual thing, but i do want to build some sort of habit of self-check, and perhaps this will serve as an opportunity for me to revise and solidify some principles and axioms i think make sense as a guiding list for me. It will be interesting to compare and contrast how some wordings will change over the coming years, i think. Always prioritise your family and important relationships over everything else. Never underestimate your ability to augment your immediate reality. Take chances on your career, and never be too comfortable. Leave room for uncertainty and surprises. This takes some conscious effort – uncertainty and surprises lie beyond your comfort zone. Get out of your comfort zone often. Always strive to be effective and get things done. You don’t have to be the smartest guy in the room. It doesn’t matter. Make an effort to cultivate your friendships. Go out, stay up. Learn how to have fun. Go out of your way to meet and be around smart, interesting and ambitious people. I once heard that you are the average of the 5 people you spend the most time with. Not sure how true that is, but I do believe in the importance of keeping good company. Be generous with your time and money. Most of the people that I came to admire and respect were always generous with their time and money. Incidentally these are the same people whom are pretty successful in their respective fields. Causation? Maybe. Correlation? Definitely. However, be prudent with your attention. A lot of things in life aren’t worth paying attention to. True love also takes effort. In fact, any genuine, enriching, long-lasting relationship takes effort. Make time. Marry someone who inspires you to be a better version of yourself. Similiarly, marry someone who has the desire to grow with you, too. In a good marriage, the whole is greater than the sum of its parts. Having money is nice, but don’t stress over it too much. Keep your personal burn rate low, but remember to eat and live well too. When in doubt, always choose substance over style. Be confident, but not proud. Never let pride get in the way of learning. Choose long-term gains over short-term gratification. Think long term. Most people sleepwalk through their lives. Don’t be most people. Pay attention, be aware. An unexamined life is not worth living. Read. Read fiction to appreciate the beauty of language. Read non-fiction to learn how the world works. Read good essays. Again, be prudent with your attention. Take time off to wander and think. My biggest takeaway from the essay is around having the courage to build conviction and intellectual honesty around an investment opportunity. It’s relatively easy to understand if an investment opportunity is good or not from pure intellectual reasoning (as i wrote about previously). However to build real conviction around a team, it is often a very emotional decision. The challenge here then is try not to fall in love with an idea / team / market or whatever it is, but at the same time once there’s conviction you as an investor will need to be passionate and committed to see it through with high conviction. In some sense, one almost needs to have the ability to hold conflicting ideas (and emotions) in your head at the same time, and have the discipline to recognize that if data and signs show that things are not likely going to work out, have the intellectually honesty to say no. More and more I believe that brutal intellectual honesty is one of the core ingredients of building a great venture capital firm. It is extremely difficult, given that venture capital is such a relationship and more importantly human business. (Again, borrowing from Suster’s great post here), and it definitely goes against human nature to be saying no to smart, driven founders, most of the time. Much to learn and do, indeed.